The mission of Whiting Farms is to produce the highest quality, value and selection of feathers for the fly tiers of the world. Whiting Farms has 10 major genetic lines that provide over 80 different products for the discriminating fly tier. Each line is bred for a specific tying purpose covering fresh and saltwater flies. 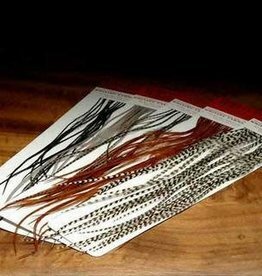 Whiting Farms has the best selection of dry fly, wet fly and saltwater hackle for the best tying creations.